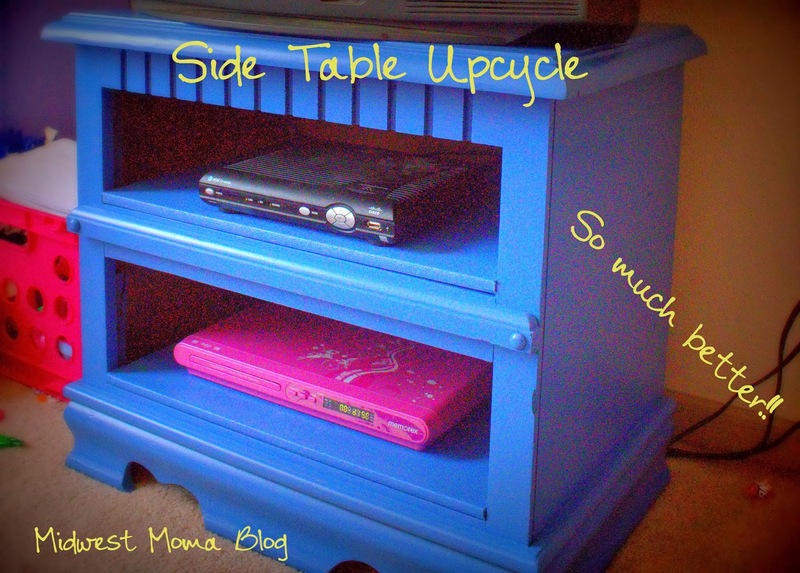 Midwest Moma Blog: Up-Cycled Side Table! 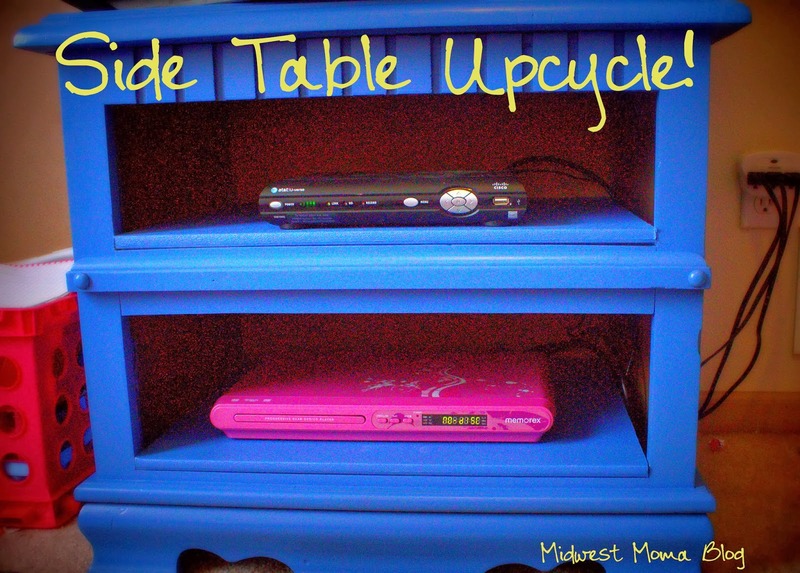 The daughter has been using an old end table as her TV stand and her cable box and DVD player set on the floor. She had a 20 inch old school TV on this table and rarely uses it. She got a bunch of new DVDs for Christmas and we had been talking about giving her the larger old TV we used to have in our bedroom. The stand she has...not gonna hold it. We went digging through the garage to see if there was any old furniture in there (our garage became a storage unit when we decide to start living together). We found a two drawer end table I had meant to throw out over the summer. 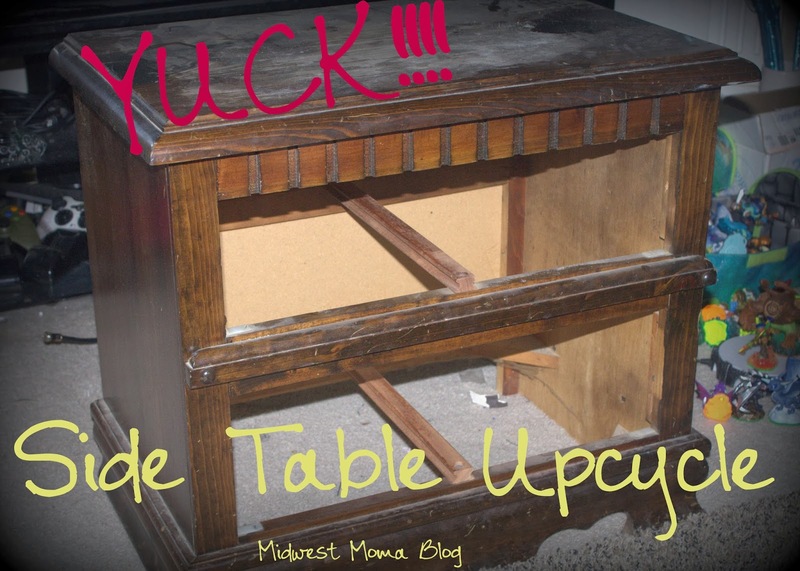 It was in bad shape, stained and dusty from sitting the garage...see for yourself...YUCK! We also found a left over piece of sheet rock that has vinyl covering over. We took out the drawers, removed the center bar used to slide the drawers in and out. 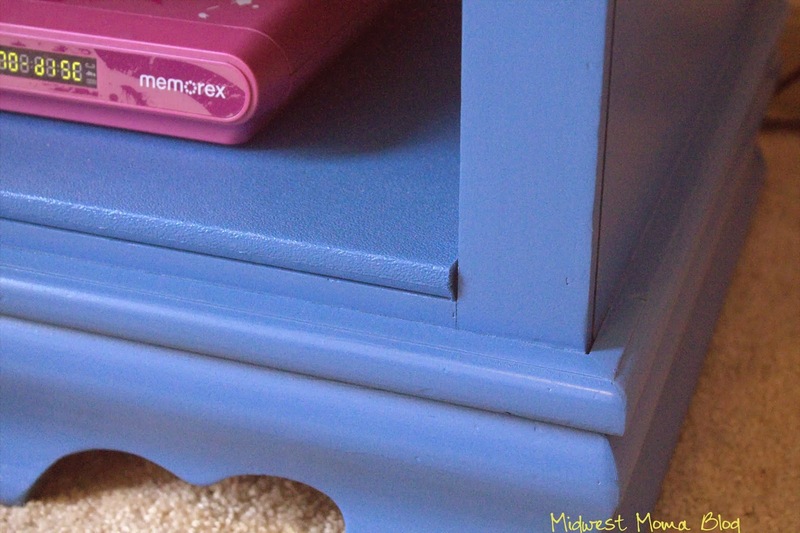 He sanded down the end table and spray painted it "Princess Blue" with paint we had bought for another project. We used the sheet rock pieces we cut down as shelves and now she has a new TV stand complete with shelves for her box and DVD player! I am so very excited about this. There are several reasons: 1. The Fiance and I got to bond alone! 2. This didn't cost us a dime! Everything we used was already here and 3. The daughter got a much improved look and piece for her little bedroom! Projects like this are a great way for us to put use the things we each enjoy and put them together to create something we both love!